In California, the Probate Court oversees two important legal processes, Probate administration and conservatorships. After the death or incapacity of a loved one, you will likely face questions about the future. Since 1980, I have offered clients in Carmichael and the greater Sacramento area reliable and knowledgeable guidance during some of the most difficult times in their life. At my firm, the Law Office of Gary Hursh, I work closely with my clients in probate administration and conservatorships. 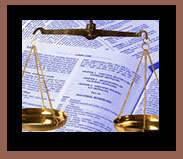 For the assistance of a dedicated Probate lawyer, contact me at 916-481-9426. What will happen to the estate? Who is going to be the Executor? taking the time to understand your particular situation, your needs and objectives. It is my job to inform you about the Probate process and make the administration of the estate as streamlined as possible. Probate - The legal process for transferring ownership of assets after death. Probate takes at least six months, though the exact time depends on the size and complexity of the estate. Due to court scheduling, it takes about five weeks to appoint the Executor after starting the Probate process. If emergency circumstances require it, immediate appointments may be possible. If the deceased person has a Will, the Executor named in the Will is typically the person who will administer the estate. If the person died without a Will, an Administrator will be identified and appointed in accordance with California statutes. I work with clients from beginning to end of the Probate process. I prepare the paperwork to initiate the process. I advise the Executor or Administrator throughout the process of administering the estate, including identifying assets, liquidating assets, accessing bank accounts, identifying and contacting heirs paying debts. I have access to an extensive network of professionals to facilitate problem-solving and efficient estate administration. My network includes Real estate agents, Estate auction houses and Tax Advisors. As an added convenience for out-of-state executors, or who cannot otherwise meet me in person or come to my office, I can handle your entire Probate administration matter over the phone. Contact me to learn more. For individuals or children, who can no longer take care of themselves because of a disability, injury from accident or age, a Conservator will act on their behalf. A Conservatorship is a legal mechanism that allows for someone to make financial and or medical decisions for the incapacitated person. What is a Conservatorship and do I need one? Do I need a "Conservatorship of the Estate" to address assets and finances or a "Conservatorship of the Person" to address day-to-day living decisions? What is the cost to set up a Conservatorship and how long does it take? What are my duties and responsibilities as Conservator? The appointment process by the Probate Court usually takes about two months. Appointing a Conservator is a longer and more complex process than appointing an Executor in Probate administration. I will spend time to understand and carefully evaluate your circumstances and help you know what to expect. I will prepare the necessary paperwork to initiate the process and appear in court on your behalf. I will guide you on your duties and responsibilities under California law as a Conservator, including what you can and cannot do. I will assist you with the reporting and formal accounting requirements to be submitted to the court. To schedule a consultation with experienced probate attorney Gary Hursh, contact me at 916-481-9426. Conveniently located next to the Carmichael Post Office, office hours are 9-5. Hospital or nursing home visits are also available by appointment.